A new movement is taking the chess world by storm in the USA. The Hip Hop Chess Federation is using chess to promote unity, strategy and non violence among young people in America. The Federation combines chess with music and martial arts to encourage young people to develop skills and attributes that will help them to avoid crime. 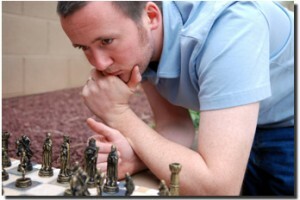 The process of playing chess develops peoples sense of strategy, decision making and realizing the consequences of their actions. It develops patience and skill and is a universal game that can be played accross cultures, language barriers and different social groups. Irrespective of ones race, gender or background, playing chess can unite people and develop an understanding of other peoples needs. The Hip Hop Chess Federation was Founded by award wining lecturer and author Adisa Banjoko and Leo “Blast” Libiran. It is hoped that the young people of America will benefit socially from the good work done by the federation. By creating a culture where a chess set takes the place of drugs or weapons on the streets of America a more prosperous future will lie ahead. The federation has received huge support from various well known artists. By aligning itself with iconic institutions of youth culture it makes itself accessible to young people who may have previously associated chess with the privileged & wealthy. This entry was posted in Chess playing & society by chessblogger. Bookmark the permalink.